The Portuguese financial system is fully integrated with the international and European financial markets. The Bank of Portugal (BdP) joined the European System of Central Banks (ESCB) on 1 January 1999. As a result, the definition and implementation of the country's monetary and exchange rate policy, the management of official currency reserves, the efficiency of the payment systems and the issuing of banknotes are now controlled by the ESCB. Thus, the Portuguese regulatory system governing credit institutions and financial companies is, in broad terms, identical to the legal framework in force in other EU Member States. Furthermore, not only has the direct influence of EU law provided the Portuguese banking industry with a high level of protection regarding consumer finance, but recent national government policies have also contributed to this high level of protection. This has been achieved through the reinforcement of the information disclosure duties of credit institutions and financial companies and the imposition of maximum interest rates in certain types of financing agreements. Further to the Economic and Financial Assistance Programme, the Portuguese banking industry has undergone significant adjustments that have led to an asset contraction as well as to a change in its funding structure, giving preference to consumers' deposits rather than wholesale funding through securities. The banking industry in Portugal now comprises over 150 credit institutions, of which the four largest groups of banks are (by total value of assets and from the largest to the smallest): Caixa Geral de Depósitos (a state-owned bank), Banco Comercial Português, Novo Banco (a bridge bank following the resolution measure applied by the BdP over Banco Espírito Santo) and Banco Santander Totta (who acquired Banco Popular Portugal following the resolution measure applied over Banco Popular España). As for its key financial indicators, by the end of the first quarter of 2017, they showed that the banking industry had a total asset value of €386 billion, while on the other hand, the value of credit granted to customers amounted to a total of €232.8 billion and the value of deposits amounted to a total of €246.6 billion. The Portuguese legal framework governing consumer payment, deposit and lending services is strongly influenced by EU legal instruments. As for national law, at the top of the hierarchy the Constitution of the Portuguese Republic contains principles regarding the national financial system as a whole as well as other provisions governing the regulatory role of the BdP. Following it is the Basic Law of the BdP, enacted by Law No. 5/98 of 31 January, as amended. This law establishes the basic structure of the BdP and relevant aspects of banking supervision. 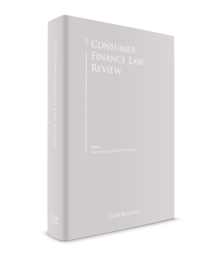 Both the Portuguese Commercial and Civil Codes must be considered when referring to the relevant legal framework governing consumer finance. The Portuguese regulatory framework governing the activity of credit institutions and financial companies (authorisation, registration, etc.) is set out in the Credit Institutions and Financial Companies General Framework, enacted by Decree-Law No. 298/92 of 31 December, as amended (RGICSF). This law also governs, among others, the supervisory activity of the banking regulator, the BdP and the Resolution Fund. In turn, payment institutions are subject to the Legal Framework of Payment Institutions and Payment Services, enacted by Decree-Law No. 317/2009 of 30 October, as amended. In particular, Directive 2008/48/EC of the European Parliament and of the Council of 23 April 2008 on credit agreements for consumers was implemented into Portuguese law by Decree-Law No. 133/2009 of 2 June, as amended. This regime has been in force since 1 July 2009. Notwithstanding, the previous regime enacted by Decree-Law No. 359/91 of 21 September, is still applicable to credit agreements executed before 1 July 2009. Decree-Law No. 446/85 of 25 October, as amended,2 which establishes the Portuguese unfair contract terms regime applicable to contractual terms that have not been individually negotiated. It is also important to note that Directive 2014/17/EU of the European Parliament and of the Council of 4 February 2014 on credit agreements for consumers relating to residential immovable property was partially implemented into Portuguese law by Decree-Law No. 81-C/2017 of 7 July, which establishes the requirements the taking-up and pursuit of the credit intermediation activity. As for the body in charge of implementing and enforcing the regulation of consumer finance services, the BdP, as the Portuguese central bank, plays a central role. Notwithstanding, there are also bodies responsible for consumer protection that must be taken into account, as they not only support consumers in general but also in some circumstances offer legal advice to their members, notably the Portuguese Association of Consumer Law and the Consumer's Directorate-General, from the Ministry of Economics. The BdP is responsible for the prudential and market conduct supervision of credit institutions, financial companies and payment institutions with a view to ensuring the stability, efficiency and soundness of the financial system, as well as the compliance with rules of conduct and transparency requirements towards bank customers, thereby ensuring the safety of deposits and depositors, and the protection of consumer interests. Likewise, whenever credit institutions or financial companies pursue financial intermediation activities, they will be subject to the supervision of, and regulations issued by, the Portuguese Securities Market and Exchange Commission. In turn, whenever those entities also pursue insurance intermediation activities (e.g., banks), they will be subject to the supervisory powers and the regulations issued by the Portuguese Insurance and Pensions Supervisory Authority. Among others, a significant number of those regulations are targeted at consumer protection and safeguarding the customer's rights. Among the different aspects of its actions, of the utmost importance is the BdP's powers to issue notices, instructions and circular letters, which set out rules and conduct for the banking industry to comply with regarding the services to be provided to general public. Furthermore, the BdP has the power to enforce Portuguese banking laws and regulations through (1) fines and ancillary penalties, (2) injunctions for the fulfilment of certain duties, (3) seizure of documents and valuables, and (4) special audits through on-site inspections. Each consumer has the right to file complaints against banks or other institutions (credit institutions, financial companies, payment institutions, etc.) within the scope of the marketing of consumers' banking services (e.g., deposits, home credit, consumer finance, credit cards). These entities are required to present their complaints book when solicited to do so. These complaints may also be filed directly before the BdP, but the latter only has powers to verify whether the institution is complying with its duties or not, and is incapable of demanding that the institution remedies the damages or the makes a payment of compensation to the consumer. This level of legal protection is only guaranteed by courts and similar judicial entities. Finally, it is also worth mentioning that Portugal has implemented Directive 2013/11/EU of the European Parliament and of the Council of 21 May, by means of Law No. 144/2015 of 8 September, as amended, regarding the alternative resolution of consumer disputes. Payment instruments in Portugal are highly reliable and the payments market in Portugal is in line with international best practice. According to the official numbers released by the BdP, Portugal is the euro area country with the most card payments as a percentage of GDP. Upon the implementation into Portuguese law of the Payment Services Directive by the enactment of Decree-Law No. 317/2009 of 30 October, as amended (DL 317/09), the RGICSF has been amended in order to provide for the establishment of the new 'payment institutions' (which do not fall under the definition of credit institutions or financial companies) that are entitled to provide payment services – which include the issuance of debit cards. However, BoP Notice 11/01 has not been amended or revoked in light of the new rules on the provision of payment services. Consequently, at present DL 317/09 provides for rules on the issuance of debit cards applicable to entities that may provide payment services – credit institutions, financial companies and payment institutions – and BoP Notice 11/01 provides for rules on the issuance of debit cards for credit institutions and financial companies. The large majority of rules provided for BoP Notice 11/01 are also provided for in DL 317/09, although there are some differences worth highlighting, such as: (1) whereas in DL 317/09, when the client is not a consumer or a micro-enterprise, parties may provide that the rules on the information requirements set out in the law are not applicable, the rules set out in BoP Notice 11/01 are mandatory; and (2) BoP Notice 11/01 requires the agreements to be written in Portuguese, it expressly provides that the information on charges and rates of interest cannot be inserted in the agreement by reference to a list of costs and charges available in the branches or by another medium (such as the website) and the issuer is entitled to change the agreement by giving a 15-day notice period to the client. More recently, Regulation (EU) 2015/751 of the European Parliament and of the Council of 29 April 2015 on interchange fees for card-based payment transactions (IFR), became directly applicable in its entirety from 9 June 2016. Up until now, the BdP has only issued some guidelines on its official website regarding interchange fees, which are mainly addressed to consumers, containing, among other matters, a summary of the main provisions of the Regulation, and an explanation of the concepts of 'brands' and 'co-branding'. discretion to waive fee caps in relation to domestic schemes, such as the three-party payment card scheme, until 9 December 2018 under Article 1(5) of the IFR. More broadly, retail payments grew in value and volume, reflecting the trend of private consumption in Portugal. Recourse to electronic payments rose further, particularly for international purchases, in line with the growth of tourism in Portugal. The use of cheques declined further, while recourse to electronic payment instruments continued to increase. Lastly, Directive 2015/2366 of the European Parliament and of the Council of 25 November 2015 on payment services in the internal market (PSD2 Directive) was implemented in 2018, but no proposal of implementation law has yet been published. In Portugal, only credit institutions duly authorised by the BdP are allowed to take deposits and other repayable funds. As provided in Decree-Law No. 430/91 of 2 November, as amended, there are several types of deposits. If we consider the movement of funds, the most common are on demand and term deposits. The first are characterised by the freedom to withdraw the funds at any time, while the second are refundable only after a certain period of time, although credit institutions may allow for early fund mobilisation subject to a penalty on the accrued interest. On the other hand, if we consider the banks' remuneration, we may include simple or indexed deposits, as the first use fixed rates (or variable rates indexed to money market rates), while in indexed deposits the remuneration depends on the evolution of other variable rates. Under the principle of contractual freedom, each credit institution is free to determine the conditions of these types of contracts, which are frequently set out by means of standard adhesion contracts for the opening and managing of bank accounts. These contracts may reveal a clear asymmetry between the rights and obligations of credit institutions and consumers, leading to an unbalanced legal relationship. As mentioned above, these contracts are subject to the Portuguese unfair contract terms regime, which has a significant role in avoiding unfair and unfavourable conditions. Credit institutions must comply with certain information disclosure duties in order for consumers to have correct knowledge of the contracts. The content of the information provided therein, regarding simple deposits, is provided in BdP Notice (Aviso) No. 4/2009 of 20 August, while the details of the information for indexed deposits are set out in BdP Notice (Aviso) No. 5/2009 of 20 August. In addition, credit institutions may authorise overdrafts, through an agreement with the consumer or a tacit acceptance from the institution itself. The first option is called an overdraft facility and is based on a contract between the client and the credit institution, allowing the client to continue to withdraw money up to a certain pre-agreed amount when the account has no more funds. The second option is overrunning, which refers to the situation where there is no prior agreement; instead, the credit institution tacitly allows consumers to make use of funds even if it exceeds their current balance. Under Decree-Law No. 27-C/2000 of 10 March, as amended, all credit institutions must offer access to basic banking services at a reduced cost through a minimum banking services account. This service consists of, notably: (1) opening and holding of minimum banking services accounts; (2) provision of a debit card; (3) access to the accounts through cash machines, home banking services and service over the counter; and (4) deposit facilities, withdrawals, payment for services and goods, direct debit and transfers between different national banks. The Portuguese Deposit Guarantee Scheme (DGS) covers every deposit up to a maximum of €100,000 per client and per bank. Further, Directive 2014/49/EU of the European Parliament and of the Council of 16 April states that every DGS must ensure a capitalisation level of 0.8 per cent. Recent data shows that in 2015 the Portuguese DGS had a capitalisation level of 1.24 per cent, placing the Portuguese guarantee fund among the most highly capitalised DGSs within the EU. Law No. 66/2015 of 6 July has brought some changes to the deposits' legal framework. First, credit institutions cannot offer overdraft facilities or overrunning under the regime of Minimum Banking Services. Second, pursuant to the amendment now introduced in the RGICSF, credit institutions must send an annual invoice-receipt detailing all the fees and expenses related to on-demand deposits from the previous year to the account holder. A bank card is issued in accordance with a umbrella agreement that must establish the terms and conditions of the contractual relationship between the cardholder and the entity that has issued it. Very often a credit agreement is executed through the use of a credit card that has the provision of a line of credit underlying it, as opposed to the lending of a certain amount. As the terms and conditions of a credit card are linked to the respective credit agreement, only where a limit has been set out in the scope of a line of credit is there the possibility of revolving credit. Lending entities are obliged to provide the customer with the respective written contracts, which are commonly drafted as standard contracts (and therefore subject to the unfair contract terms regime) and usually presented as the card's general terms and conditions, as the card's sole purpose is to serve as a means of payment. As for servicing burdens charged by the credit card issuer, they vary among the different credit institutions. However, it is mandatory for all such costs to be clearly indicated in the credit agreement, which must contain information on all the applicable interest and exchange rates, or, if applicable, the calculation method and the reference date used in determining the applicable interest or exchange rate. It is also worth mentioning Decree-Law No. 227/2012 of 25 October, which establishes the set of principles and rules that credit institutions must follow on the management and monitoring of the risk of default in consumer finance. This statute provides that all credit institutions must create a Plan of Action for the Risk of Default in order to prevent situations of default by their customers. More importantly, this statute creates and defines the Out-of-Court Procedure of Default Situations' Regularisation (PERSI), which consists of a debt restructuring procedure designed for financial consumers. The PERSI is applicable to the majority of credit agreements executed with consumers and does not depend on any access conditions (not even a request from the consumer). During the debt restructuring negotiations under the PERSI, the consumer has a set of legal guarantees, three of them being the impossibility that credit institutions may: (1) terminate the credit agreement, (2) take legal actions in order to claim those credits, and (3) assign those credits to a third party. Finally, a brief reference must be made to contactless cards, which have recently been introduced to the Portuguese banking industry. Usually, the issuer entity establishes both the maximum amount allowed for single payments as well as an overall maximum amount for successive transactions without the use of the card's PIN (personal identification number) code. The BdP issued a circular letter on the subject, thus publishing the good practices regarding the information duties that the issuer entities must provide to their customers, including the obligation for those entities to provide said information by means of a paper document or other durable medium. The consumer credit regime applies to contracts for amounts between €200 and €75,000. There are different forms of consumer credit, depending on purpose, namely: (1) personal credit, which may include student and health loans; and (2) car loans, through leasing, with reservation of title, or others. Even though they are all considered consumer credit, these contracts entail different costs, fees and charges. The housing credit regime applies to contracts for the purpose of the purchase, construction, maintenance or improvements of privately owned property or the purchase of land for its development. These contracts may be secured by a mortgage on the property, which may be reinforced by other means, such as the life insurance of the debtor and his or her spouse or any other kind of guarantee that may fit the intended purpose. Credit institutions have the right to terminate both consumer and housing credit contracts. For the purpose of consumer credit, credit institutions may terminate the contract if the following two requirements are met: (1) the non-payment of two consecutive instalments that exceed 10 per cent of the total amount of credit; and (2) in the case that the creditor has given additional time of a minimum of 15 days for the consumer to pay the delayed instalments, together with possible compensation due, with a warning regarding the consequences of losing the right to pay by instalments or the consequences concerning the termination of the contract. For the purpose of housing credit contracts, credit institutions may terminate the contract in the case that the consumer fails to pay at least three overdue and unpaid instalments. For both types of credit contracts, consumers have the right to request a partial or total early repayment, upon providing a prior notice to the bank. If the consumer decides upon an advanced repayment, it could result in extra costs. For consumer credit contracts, credit institutions are not authorised to charge any fees when this concerns the early repayment of loan agreements with a variable interest rate. On the other hand, they are entitled to do so in the case of the early repayment of loan agreements with a fixed interest rate. Concerning housing credit contracts, banks may charge extra fees for early repayments for loan agreements with either fixed or variable interest rates. The consumer, whether requesting details on consumer or housing credit, is entitled to clear, complete and updated information regarding the characteristics, conditions and costs of the loan. Credit institutions, apart from these pre-contractual obligations, must continue to inform their clients, among others, on the status of the loan of changes to the interest rate and of any breaches of contractual obligations. BdP Notice (Aviso) No. 10/2014 of 3 December establishes the information requirements that must be fulfilled by credit institutions during the term of the consumer credit contract. By the same token, BdP Notice (Aviso) No. 2/2010 of 16 April, as amended, establishes the information requirements for housing credit contracts provided by credit institutions. Under Portuguese law, lending (secured or otherwise) is considered a banking activity. Accordingly, any short-term consumer lending activity that is carried out, on a professional basis, by an entity that is not duly authorised or registered with the BdP, shall be deemed a very serious administrative offence, subject to a fine of up to €5 million, plus ancillary sanctions. As we mentioned above, although the banking activity may only be carried out by credit institutions or financial companies that are duly authorised, crowdfunding is emerging within the scope of the sharing economy. Crowdfunding, as a channel of financing, allows matching investors directly with the contributors and projects in need of funds, mainly in the early stages, by means of electronic platforms. competences of Portuguese Securities Exchange and Market Commission, as the Portuguese authority responsible for supervising and monitoring proper decisions of managing bodies of platforms. Law 102/2015 of 24 August is encouraged by European interest on this form of financing, though with limited cross-border activity for the moment. In recent years, two other issues were widely discussed in Portugal, as much for their relevance within the banking industry as for the rising public controversy that they have caused. The first widely discussed issue is related to the effects of a potential negative interest rate on lending agreements. This was because of European financial policies, which have led to the lowest interest rates in years, with direct effects on the Euro Interbank Offered Rate (EURIBOR), which in the first semester of 2015 reached negative values for the first time (when considering the three-month rate). In Portugal, EURIBOR is commonly used as the variable interest rate in consumer finance agreements such as home credit. The BdP was thus questioned as to whether such negative values should serve as a discount on the consumers' credit instalments, or whether the variable interest rate should be deemed as equal to zero whenever the relevant credit agreement did not specifically govern the matter. The BdP started by issuing Circular Letter No. 26/2015/DSC of 30 March, in which, in general terms, it stated that: (1) the interest rate applicable to a contract should result from the arithmetic average between the fixed and the variable interest rate; and (2) if no specific provision exists regulating the negative value event, credit institutions may hedge said event by means of financial instruments. This means that the clients would benefit from the negative value of the EURIBOR. More than one year later and after much controversy, the Governor of the BdP stated before the Parliament and by means of a letter to the Minister of Finance, that credit institutions should not bear the risk of negative interest rates alone and that, if the average between the variable interest rate and the spread (usually a fixed rate) is negative, then it should be deemed equal to zero. This is now a matter in the hands of political parties, as a new legislative proposal is being drafted. Second, the Portuguese banking industry has recently discussed crowdfunding as an alternative way of financing. Please refer to our comments in Section VI above on the regulated nature of the lending activity and the recent developments in crowdfunding. Recent case law of Portuguese superior courts has questioned the effectiveness and validity of specific standard unfair contract terms used in banking contracts. The assessment of the legal compliance of unfair contract terms adopted by each credit institution and financial company is not usually made beforehand at the time of their drafting. This means that the failure to satisfy the requirements imposed by the Portuguese unfair contract terms regime is indeed more frequent than is desirable. Note that the law allows for procedures to challenge unfair contract terms used in consumer finance contracts, not only by the customers, but also by the public prosecutor's office and consumer associations, among others, who may initiate a general procedure for an injunction, the effects of which all parties concerned may benefit from. prohibition of clauses under which the customer expressly authorises the bank, without fulfilling any formality of any nature whatsoever, to be compensated for any liabilities arising from the contract by debiting any other deposit accounts that the customer is the holder of, or will become the holder or joint holder of, within the bank, as well as the automatic set-off of any debts arising from the contract with any other customer's credits over the bank. prohibition of clauses that allow the bank to cancel or suspend customers' cards without prior notice, for example, in the case that the customer is featured in the List of Risk Users of the Bank of Portugal. prohibition of clauses, as contrary to the requirements of good faith, that allow the predisposing bank to set-off its credit over a customer with a joint bank account balance of which the customer is the holder or will become the holder. In the context of its supervisory powers, the BdP has conducted a number of inspections that specifically targeted compliance with the rules governing consumer finance. Particular attention was paid to annual percentage rates, information duties and the conduct of business. Pursuant to these inspections, the BdP issued both recommendations and mandatory orders to credit institutions. In a small number of cases, it also applied sanctions. In 2016, the Portuguese appeal courts rendered two judgments that significantly influenced credit institutions' rights in the case of default of the financial consumer. These rulings found it unlawful for a provision in a consumer finance contract to depart from the legal regime and allow the creditor to claim the outstanding compensatory interest if the debt is accelerated following an event of default. This entails that, if the consumer fails to pay the instalments in due course, creditors will only be entitled to: (1) the principal amount; (2) the accrued compensatory interest; and (3) the default interest. Although these decisions do not bind other courts, they nevertheless provide solid grounds for other courts to rule in the same way. Another subject addressed by the appeal courts was the relationship between consumer finance and other consumer contracts. The Lisbon Court of Appeal ruled that, where a consumer loan was granted specifically in connection with an underlying consumer contract (e.g., the sale and purchase of a good or a service), the termination of the latter entails the termination of the former. In this context, it is important to note that the court decided that it was abusive for the creditor to fill in and execute an unfilled promissory note issued by the consumer for the purposes of securing the consumer loan. After the considerable decrease that took place in 2011–2012, consumer finance in Portugal has been steadily on the rise since 2013.
Credit institutions and financial companies have increased advertising on consumer finance products that, in some cases, offer considerably higher yields than other financing products. This trend was expected to continue in 2018. Car loans played an important role in the 2016 growth, probably because of the anticipation of car vehicle acquisitions in response to the scheduled increase in the vehicle tax for 2018. In 2016, Law 13/2016 of 23 May introduced new rules for tax debt enforcement procedures. Since mid 2016, family houses with a tax valuation of up to €574,323 may not be seized or judicially sold to pay tax debts. Prior to its approval, there were some indications that the prohibition might have been more inclusive and also be extended to cover other debts – such as housing credit debts to banks – which ultimately were not part of the version adopted. Nevertheless, there might be some developments in 2018 regarding this subject. Moreover, it was expected that the key legal framework of the Portuguese financial market would be strengthened in 2018, as MiFID II and PSD2 were expected to be transposed and Regulation (EU) No. 1286/2014 on key information documents for packaged retail and insurance-based investments products entered into force. 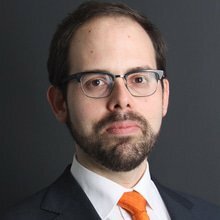 1 Hélder Frias is a senior associate at Uría Menéndez – Proença de Carvalho. The information contained in this chapter was accurate as of January 2018. 2 DL 446/85 has been amended, inter alia, by Decree-Law No. 220/95 of 31 January as a result of Directive 93/13/EEC of the Council of 5 April on unfair terms in consumer contracts.